Camping in your own yard? I'm just wondering if anyone occasionally "camps" in your own yard? 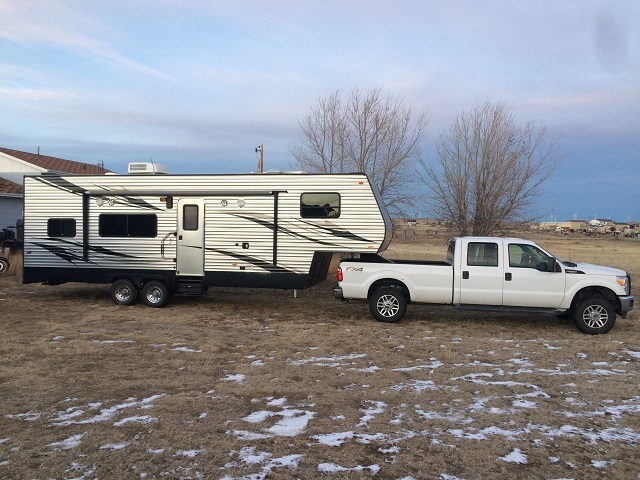 We bought our toy hauler a couple months ago and it's winter in Wyoming so it hasn't left the yard, but the kids and I have spent a few nights inside watching movies, playing Monopoly, eating popcorn and in general goofing off like we enjoy doing. It's not the fanciest campground, but it'll do until spring gets here! So....? Anyone else out there yard camping in the off season? We've done in when the power went out for several days due to a storm. Moved out of the house and into the RV with its generator, 8 batteries and two inverters. The little ones look like they are enjoying it regardless of where it’s at. We stay in ours beside the house probably 20 days a year. When we have company we stay in the RV and let the company use the house bedrooms. 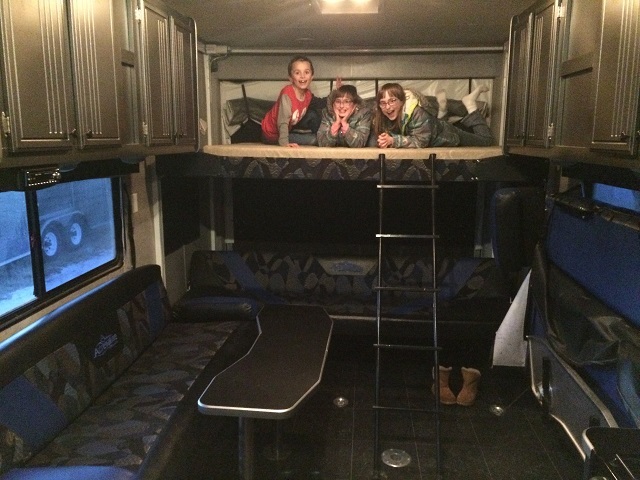 Stayed in the RV a couple months when the house got flooded and was being repaired, handy thing to have!! Same here, when the family come up to visit, the DW and I move out to the RV. They stay up way past our bedtime. Can't say I "camped" at my home. But I did watch a baseball game one afternoon after I installed a the new TV in my RV. I guess I needed to make it worked. I'm in and out of ours all the time, it's parked beside the house. It's not uncommon for me to go hang out there for a day and watch a movie or something. Which is NOT camping for me because we NEVER watch TV when camping. Once in a while DW and I will decide to spend the night out there, just because we like it. So yes, it gets used/visited a good bit even when just sitting beside the house. When I had a popup, I'd park it on the pad beside my driveway and let family sleep in it during family reunions. My TT won't fit in the driveway, so I can't do that any more. If City people love to go camping out in the county, do country people like to go camping in the city?